Sometimes things aren’t always what they seem. Especially upon first glance. This past summer I was examining my Marriott rewards account when I noticed that I had finally — finally! — accrued enough points to score a 6-night stay on Maui at their beautiful Wailea Beach property. Within seconds my head was filled with visions of the Honeybee and me enjoying a few days of romantic bliss — sans kids, of course — on a beautiful island paradise. Needless to say, I was absolutely determined to see this unplanned trip happen. Well, that is, as long as all of the adventitious outlays weren’t going to exceed the roughly $5000 we had sitting in our “mad money” account. As you can see, even though we were staying at a five-star resort, my rough calculation suggested our Maui trip would be somewhere in the neighborhood of $2700, which was well within our budget. And so, with that gross estimate in hand, I told the Honeybee to pack her bags — and mine too. Now, if you simply took a quick glance at the photo, I suspect you probably failed to notice anything out of the ordinary. But like most things in life, the devil is in the details. 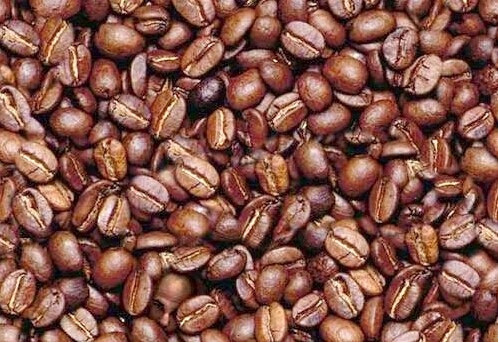 If you examined the picture more thoroughly, you probably noticed the face that’s hidden within the myriad of coffee kernels. It turns out that a good chunk of our total Maui vacation expenses were locked in the dirty details too. In fact, soon after committing to travel, it became apparent that my initial vacation cost estimate wasn’t worth a hill of Kona coffee beans. I had no idea just how badly that original back-of-the-envelope guess of $2700 was though until I finally got home this weekend and totaled up the damage. Here is the final tally of every expense related to our trip. Now don’t get me wrong; I’m not complaining about the bottom line. The resort accommodations were spectacular, and the Honeybee and I had a great time, so the $4365 price tag was well worth it. Still, tracking vacation expenses to the last penny revealed some interesting unexpected outlays that significantly drove up actual costs well beyond my original estimate. 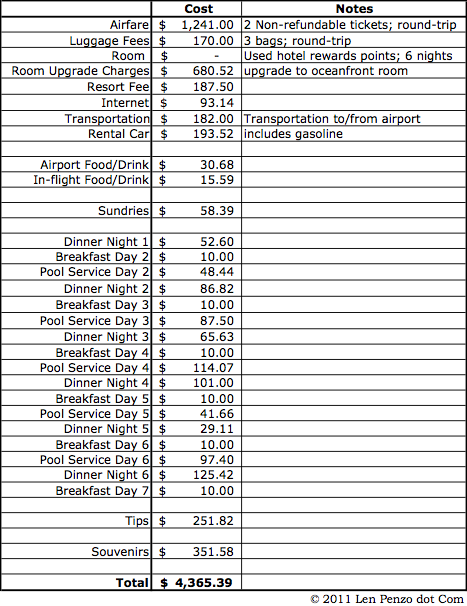 Other hotel costs. Although I should have, I never considered that I would want to take advantage of the hotel’s optional resort and Internet fees which came to over $280 in additional charges. I also didn’t plan on spending $680 for the week to upgrade into one of the best oceanfront rooms in the entire resort (room 6208, in case you’re interested), but in the end I decided I would be crazy not to — especially considering that same room would run me about $3000 under normal circumstances. Other airfare costs. Costs related to airfare didn’t stop with the $1241 we spent on tickets. For example, United charged us an additional $85 each way for our three bags. The private sedan that took us to and from Los Angeles International Airport cost us another $182. And on the way to Maui, the Honeybee spent $15.59 on the plane for a cold sandwich and, um, an adult beverage. Tips. Maybe I was guilty of a little tip inflation on this trip; I spent $251.82 on tips to the bell hops, drivers, maid, waiters and pool servers. Not only is that a fairly significant amount of cash — it’s also $251.82 that I didn’t include in my initial estimate. Souvenirs. Some people can travel half-way around the world without getting so much as a two-bit refrigerator magnet. For this trip we spent $351.58 on vacation mementos — which represents roughly six percent of our entire vacation cost. I know. 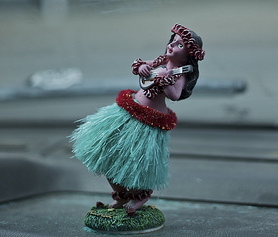 Speaking of souvenirs, while we were in Maui I wanted to get my handyman father-in-law, Tony, one of those dancing dashboard hula girls, but I was quickly overruled by You-Know-Who. So, instead, all he got was a lousy tee-shirt. And although he didn’t say a word, I’m pretty sure he hated it. It’s okay; I can’t say that I blame him. After all, some faces are a lot easier to hide than others. Congratulations! The trip sounds like it was amazing. I think I would have upgraded the room too. How long did it take you to accrue enough Marriott points for Maui? I have a Marriott rewards account too, but I’m not the business traveler that I used to be, so I’m not accruing many points anymore. We might stay at a marriott once a year now, so it will probably take decades. Did you accrue your points through staying at Marriotts or do you use their credit card for the points? I think it took me about five years — and all of those points were earned entirely through hotel stays. My travel has since slacked off a bit over the last few years. So to make up points quicker I have now begun responding to special Marriott offers (e.g., I earned 110,000 new points in the past week by sitting through a time share presentation and applying for their credit card). Thanks, Jillian. Maui is a great place to vacation. I’m sure your vacation was fabulous, but I prefer my method of travel: cheap. Granted, I don’t stay in American hotels with rooms on the beach, but I do manage to spend about $15 a night for a place to sleep. I eat at small, local eateries instead of American restaraunts, and I swim in the ocean instead of the hotel pool. If I could have driven to Maui, I would have done it. I swear. And you’re right, Steven. It’s definitely a matter of personal preference. When I was in college and in my 20s I used to vacation on-the-cheap too. Hey Len, sounds like a great trip. My default re planning trip expenses is to do a quick and dirty like you did, then double it. That usually is in the ball park when all is done. I think your method is a much more conservative (and accurate) approach, Dr. Dean. I just may have to try that next time around. Welcome back, looks like it was a good time (and worth it)! My question: how will Tony react when he sees how his gift could have shaken out? Haha! I don’t know, but I’m sure I’ll find out soon enough. I know. Unfortunately, I can’t help myself, Barb! Mr. Penzo, glad to see you didn’t skimp. Many finance bloggers are so Puritanical about vacation costs that they miss the entire point. Also: not sure what your Marriott status is, but they waive internet fees for some loyalty levels. It took me a couple vacations to finally learn that a vacation on the cheap is no vacation at all. That’s not to say people should run up their credit card debt to have a blast — they should wait for that great no-holds-barred vacation until they’ve saved up for it. I’ve never had anything better than silver elite status. For this particular trip, I didn’t even have that status. Did you take into account the cost of the 5 swimsuits your wife bought for this tropical paradise vacation? Great article! Thank you for sharing! I love the face in the coffee beans. 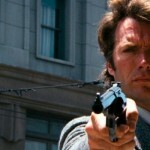 I want to share it in my blog, would that be ok? One more important issue is that if you are a mature person, travel insurance for pensioners is something you should make sure you really take into consideration. 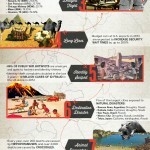 The more aged you are, greater at risk you are for allowing something terrible happen to you while in another country. If you are definitely not covered by many comprehensive insurance coverage, you could have many serious problems. Thanks for giving your ideas on this website.